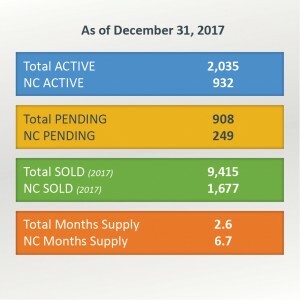 Two-thousand-and-seventeen was another BLOCKBUSTER year for the Des Moines Metro housing market as sales of single-family homes in the 18 communities I track reached a record-breaking high of 9,415. INVENTORY in the overall single-family housing category remained low heading into 2018, while the number of total active listings increased slightly to 2,035, compared to 1,910 at the end of 2016 and 2,043 a year prior. New construction made up 1,677, or 18 percent, of the total number of single-family homes sold in 2017, with the SUPPLY AT YEARS-END sitting at 6.7 months. That’s compared to 6.1 months of supply at the end of 2016 and 5.5 months of supply for the year-earlier period. While the price of a NEW HOME has edged upward, there is great potential to connect buyers and builders by assessing various cities and different price points. With potential buyers in search the perfect lot or right development, builders planning where to next BREAK GROUND may wish to consider the potential for price points in the $250,000 to $299,000 and $400,000 to $449,000 ranges as these currently reflect the fewest months of supply. In 2017, the TOP CITIES for new construction were Ankeny, Grimes, Norwalk, Waukee and West Des Moines. My website includes useful information for people interested in learning more about available lots, developments, builders and the construction process. Those in search of a home or wanting to KNOW MORE, please contact me for further discussion on the topic. For builders looking for available lots in the Des Moines Metro area, take a peak at the Development/Lots page at newconstructionspecialistdsm.com. 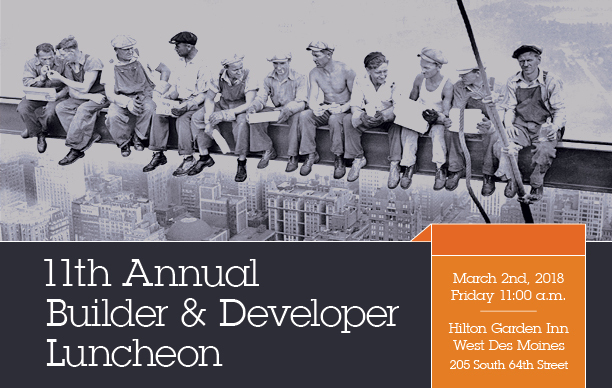 And don’t forget to click here and SAVE THE DATE to attend the 11th Annual Builder & Development Luncheon for a keynote by NAHB Chief Economist and Senior Vice President Dr. Robert Dietz, followed by a presentation of my annual housing statistics. Thanks for reading. Have a great 2018!